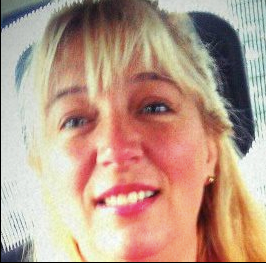 Valéria França trained as a primary school teacher, but has worked in ELT for over 20 years. She holds a PhD in Applied Linguistics. She is the Head of Teacher Development at Cultura Inglesa SA and loves running TD sessions. She is the current First Vice President of BRAZ-TESOL and in 2015 becomes the President. She enjoys reading, Yoga, and puppetry. The learning/teaching experience is a live, organic process which often demands we change our pedagogic practice. But how do we re-invent ourselves as teachers? It’s only when we experiment with different learning experiences ourselves that we begin to see things differently. Looking at things from new perspectives allows us to begin to get ready to change our classroom practice. This presentation will explore this issue. A Humanities teacher for over 20 years in several of Oahu’s private schools, Amy is a leader in educational technology professional development programs. She is currently teaching Theory of Knowledge at Le Jardin Academy International Baccalaureate (IB) "world school" in Kailua, Hawaii. Her work in the History for Music Lovers project YouTube channel (aka “Historyteachers”), which features history-based parody music videos with over 10 million views, has appeared in Wired magazine, The Washington Post, The New Yorker, Honolulu Magazine, CBC, NPR, and international blogs and media. She was privileged to present at TEDxHonolulu 2011 and served as co-curator for TEDxHonoluluED 2013. She has presented at Ignite Honolulu (2012), The Association for Advanced Computing in Education (keynote, 2011), the Hawaii Independent Schools Association’s Schools of the Future Conference (2010, 2011, 2012, 2013), EdTechTeacher iPad Summit (2014), SXSWedu (2014), California State University at Fullerton (keynotes), ISTE Ignite (2014) and in Vancouver at the British Columbia Social Studies Teachers Association Conference (2011, 2012, 2013). Amy has been an active participant-learner in several MOOCS (#etmooc, #edcmooc, and #teachtheweb), and has been a special guest in Webinars with Mozilla, Common Sense Media, KQED, and RSCON. She was named a Webmaker Fellow by the Mozilla organization, and a member of the Google Teacher Academy (Atlanta, 2014). She is a firm believer in radical openness, remix, and maker culture and speaks often on new literacies and creativity. Mozilla’s Doug Belshaw says that the “heart” of “digital literacies” is the Remix. Kirby Ferguson eloquently encouraged us in his TED talk to “Embrace the Remix”, because, as his enlightening documentary series reminds us, “everything is a remix”. Newspaper blackout artist and award-winning author Austin Kleon’s advice to budding creatives is to “Steal Like an Artist”, because “you are a mashup of what you let into your life”. Our students are engrossed in remix culture - they are the appropriation and recontextualization generation. Remix calls for knowledge and understanding, critical, higher-order, and design thinking, a variety of tech skills, and, frequently, collaboration and navigation in the greater media landscape. Most importantly a remix task offers students a chance to truly transform a work and create something unique - something that will contribute to their digital presence and legacy. This session is part pedagogical/philosophical and part participatory. Amy has created a resource-rich open G+ community so you will leave with a “goodie-bag” of resources and ideas as well as have the opportunity to carry on the conversation and share your work in the months to come. Through my work with the History for Music Lovers parody video project on YouTube, I have become enthralled with the possibilities of incorporating various types of remix into the curriculum and I hope this presentation offers some practical, exciting possibilities for you. We know that when learners are engaged, the possibilities are endless yet this idea rarely applies to all. How can we make sure that our goals and actions are aligned with engaging our entire community of learners? We’ll look at specific examples of empowered change through community engagement and tackle our own systemic beliefs that often hold learners back. Together, we can spread change by being the change. Tell me and I’ll listen. Teach me and I’ll take notes. Involve me and I’ll buy in. Dan Haesler is an international keynote speaker, teacher, writer & consultant. Described as engaging, thought provoking and someone who pushes the boundaries; Dan has appeared alongside some of the world’s most respected educational thinkers including Sir Ken Robinson, Sugata Mitra and Stephen Heppell. He is one of Australia’s most sought after educational thought leaders and works with a diverse range of people and organisations as well as featuring in and writing for the mainstream media. In his role as a consultant, Dan has worked with state government departments, not-for-profit organisations, regional education offices, professional associations and individual schools. We’ll explore how we can leverage the skillset and mindset that students bring to school in order to engage them, not in their class, but in their life? How well do you – not only listen – but understand and empower the student voice? Özge is an English teacher of young learners in Istanbul, Turkey. She is the author of the Minigon readers' series, the Elton nominated My First Digital Journey, and works for Mindactiva in the USA as the content coordinator of YES I SPeak English DVD series. She has led various projects in which her young learners created the very first cartoon, very first digital games series and very first i-phone/i-pad application that are drawn, coloured, animated and dubbed by kindergarten children in the world. Ozge was awarded with the Creativity and Innovation Award, Microsoft Award for Outstanding Teachers, the New Writing Award by ESU and Cambridge University Press. Welcome to a digital adventure! The immense and growing change in technology in the last decade has opened up a new door in education creating new opportunities to learn, collaborate and connect to each other by exponentially expanding the physical limits of school. This talk will explore the whys and hows of integrating technology in small steps; making learning fun with web tools that every teacher should know and take advantage of to heighten the learning experience in young learners’ classes. Tosca has been teaching in the IB international community in Asia and Europe since 2000. As a doctoral student at Bath University, Tosca’s published research focuses on innovation in education. She co-founded ED-ucation Publishing, in order to help drive education forward with technology and globalization. She is one of the organizers for TEDxYouth@BIS and works with TEDx as well as other organizations across the globe in order to create opportunities for students to share their dreams with the world. Vicky Loras is an English Teacher, born in the beautiful city of Toronto, Canada – her parents are of Greek origin and emigrated to Canada when they were very young. She has been teaching English (as a foreign language and literature) to students of all ages, for a total of almost fifteen years. For ten years, her sisters (Eugenia and Christine) and her owned an English School in Greece, The Loras English Academy, but have now moved it to Switzerland. They have recently founded The Loras English Network – our new school where we teach English train teachers and hold children’s events. She believes in teaching as an ongoing learning process, both for the benefit of the students and the teacher. There are various types of classrooms all over the world. Join me in a journey around the world, where we will be on a quest to search for where the importance lies. There are various types of classrooms all over the world. Join me in a journey around the world, where we will be on a quest to search for where the importance lies. Zak is the founder of Student Voice, an organization which hopes to help all students have an influential voice in the decisions that impact their lives. Zak founded @Stu_Voice when he was still in high school. Currently, he is a sophomore at the University of Maryland, College Park. He is also a HuffingtonPost Blogger. Mark Martin aka Urban Teacher does much more than working as an ICT teacher in a London secondary school. He sees his role as that of a true technology evangelist working in the education system and is passionate about getting the most innovative technologies into the hands of learners. In these roles, he has noticed widening gaps between the needs and capabilities of all the stakeholders he encounters – teachers, students and their parents and the programmers and app developers supplying schools with software and content. Keen for these gaps not to widen further, Urban Teacher is very passionate about reducing the distance between schools and the wider world of technology. This keynote will focus on how teachers can change their classroom and world by realising the power in tech and passion. Todd Nesloney is a brand new Principal/Lead Learner of Navasota Intermediate in Navasota, TX. He is the TCEA Teacher of the Year for 2014, a White House Champion of Change, a National School Board Association “20 to Watch” for 2013, Center for Digital Education “Top 40 Innovators in Education” for 2013, SMART Exemplary Educator, Discovery Star Educator, Classroom Champions Teacher, Ron Clark Academy Slide Certified, part of the Remind101 and Sophia.org Teacher Advisory Boards, and a Flipped Classroom Certification Instructor for Sophia.org. Todd also is the co-founder of The 3 Tech Ninjas education technology training company, the author of children’s book “Spruce & Lucy” and the co-author of “Flipping 2.0”. He is also the co-host of the education podcast series “EduAllStars”. In addition to his passion for working with kids and teaching, Todd travels around the country speaking and presenting at different conferences. As educators our job is to inspire our students and make them believe they can change the world.....because they CAN! The message is simple, but the implications are huge. Give them a voice, remind them of their value, and teach them that they matter. We'll begin with a brief visual overview of presenter's just-completed dissertation – the first undertaken entirely in comic book format – which argues through its very form for the importance of visual thinking in teaching and learning. This visual-verbal work expands the possibilities for engaging comics within academia while ultimately challenging and reimagining what scholarship can be. From there, we will delve into the distinct ways that comics present meaning through the blending of visual and verbal, spatial composition, and multimodal layering, and how comics can be used as a powerful tool for thought in classrooms and beyond. Jennifer holds a degree in Literary, Technical and Legal Translation, a Bachelor´s degree in Educational Management, certifications in English Teaching and ICT in the Classroom, an MA in Virtual Environments, and a Specialization in Education and ICT offered by the Ministry of Education in Argentina. She has given numerous workshops on the integration of New Technologies in Education in Argentina, Japan, Paraguay, Costa Rica and the United Kingdom. She is the co-author of the ELTon nominated My First Digital Journey e-Book published by The Round in December 2012. She is a proud Webhead and President of ARCALL Argentine Computer Assisted Language Learning. When I was asked to enroll in a student-run, project-based class my senior year of high school, I was nervous. Most students in the education system today are not provided the opportunity to personalize their learning; thus, when I was told I had the opportunity to decide what I wanted to learn for the year, I was taken aback. Lucky for me, I found my niche in social media education and since August 2013 I have created and maintained my blog Social Media Education, presented at Stanford University, and filmed a DVD, “Social Networks, Educator Empowerment, and Student Success.” Though my mission began as a class project, I have greater aspirations than to receive an “A” at the end of the year. Through my mission, I hope to empower educators and students alike to transition to the 21st century tools and skills needed to achieve a successful education. I hope to enlighten educators on how students today view their education and bring forth to mind the skills and tools that are outdated and what they should be replaced with. I hope to receive the opportunity to speak to students directly and explain why their actions on social media can have negative consequences, and thus, what behaviors they should avoid. My mission is not simply a class project; it is a long-term goal. The education system has been lagging behind the resources and tools of the 21st century and it is now time for educators to reinvigorate their classrooms. Learn more about my social media education mission, how I created my own business at eighteen, and what it takes for your students to be successful not only in the classroom, but in finding their passion and succeeding in their careers.